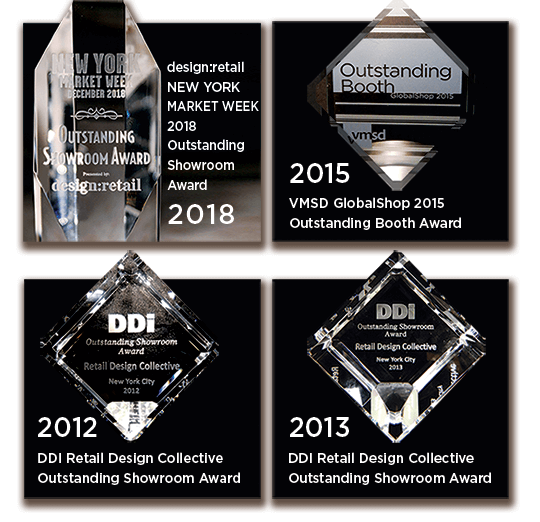 Bernstein Display has a rich heritage as a supplier of visual presentations products and is globally recognized as a trusted source for creative design development, quality manufacturing, timely distribution, and outstanding customer service. The company’s focus on customer service and excellence continues to build long-term relationships that cultivate customer loyalty. Proprietary as well as customized products included mannequins in a diverse range of innovative materials, upholstered apparel forms, retail fixtures, accessory displayers. Bernstein Display opens a 100,000 sq. ft. facility in Vermont and an office in Shanghai. Design, Engineering, and cutting-edge manufacturing capabilities culminate with a global presence and an international clientele. Opened a dedicated manufacturing plant catapulting Bernstein Display onto the national scene with major programs for Allied/Federated and Banana Republic. Leo D. Bernstein opens a haberdashery on Lispenard Street near Chinatown, procuring products to sell from auction houses. Ralph Lauren walked into the showroom and a 40-year relationship was born launching over 4000 shops and 80,000 clothing forms. Curiously, the store fixtures sold faster than the clothing prompting Bernstein to move to 29th Street and begin working with local retailers and department stores providing hangers, racks, forms, mannequins, sales tickets & tags.